On October 16 – 20, 2017 the XXVIII European Championship in Sport Acrobatics took place in Rzeszow, Poland. 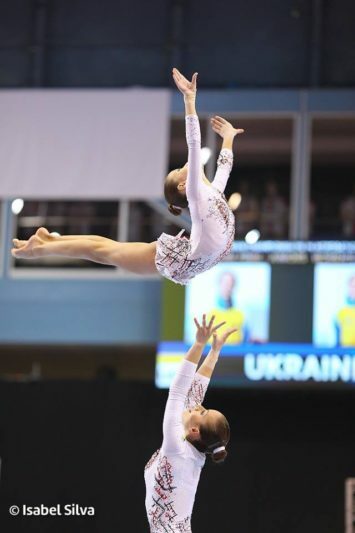 The national team of Ukraine included the third year student of the Institute of Physical Culture and Health Care Yuliya Pylypyak and the pupil of the Drohobych Grammar School Oleksandra Tabachynska. 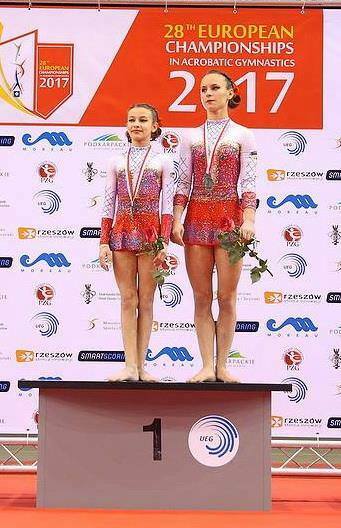 In a tense competition, they won the gold and became the absolute champions of Europe in sport acrobatics. It should be noted that in 2016 the duo acrobat set the world record and made a double flip with a pirouette from hands to hands. The Ukrainians have become the only sportswomen in the world to perform such a complex exercise. The management of the University and the Institute of Physical Culture and Health Care congratulate the young athletes and wish them further victories and achievements in the realm of sports.